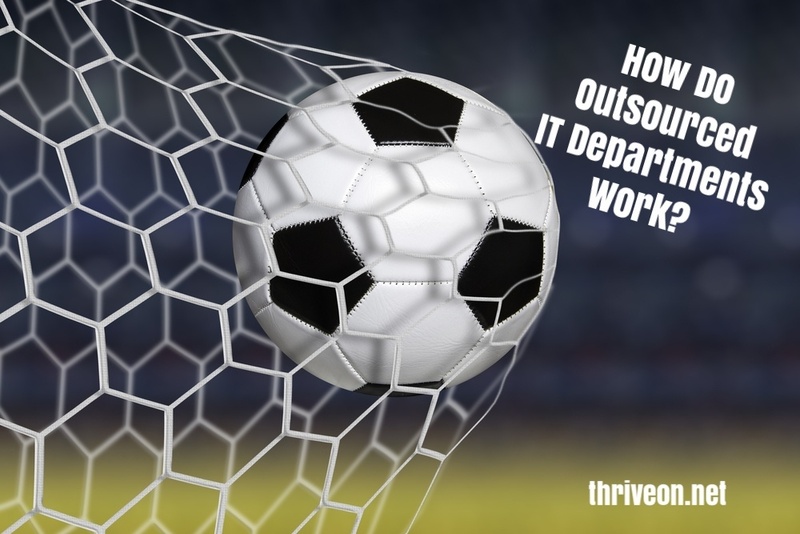 How Do Outsourced IT Departments Work? It’s no secret that the continued success of an organization relies heavily on IT technology processes that facilitate efficient business operations. After all, every company depends on its IT team to manage business continuity, cloud computing, potential online security threats and technology support services for clients and employees alike. That’s why it’s essential to optimize your current IT framework to ensure maximum employee productivity, customer satisfaction and network security. In order to meet the ever-present need for effective IT performance, some businesses choose to invest thousands of dollars into employing and training internal Information Technology staff, creating an IT team that caters exclusively to its organization’s specific needs and work processes. However, in an overwhelming majority of cases, these internal IT teams simply lack the time, tools and expertise to fully support the technology needs of an entire business, resulting in unstable IT costs, cybersecurity risks and numerous periods of network downtime that can cripple employee productivity. Consequently, if your business is struggling with IT disruptions and downtime, network performance or costly and unpredictable IT expenses, it might be time to invest in outsourced technology management. What Are Outsourced IT Departments? Outsourced IT departments perform all of the same functions as internal teams, including network management, cloud computing, cybersecurity and IT troubleshooting. The key difference here is that outsourced IT departments are assembled and maintained by IT companies called Managed Service Providers. These organizations can effectively support the efforts of a client’s existing IT department or replace it entirely with an outsourced Information Technology framework. In either case, working with a reputable Managed Service Provider like Thriveon will grant your company access to a wide variety of invaluable, proven strategies, systems and tools that will keep you at the forefront of your industry and unleash your business success through measurable and outstanding IT results. Is IT holding your business back? Get the E-Book "Top 5 Reasons IT is Unpredictable"
By outsourcing your technology management needs to an IT support company that provides fully managed services, you gain access to the combined expertise of an entire team of IT professionals who each specialize in a different facet of technology. The field of IT is perpetually shifting and transforming as new technology, tools and practices emerge. Consequently, it’s almost impossible for a small internal team to research and understand all of IT’s ever-changing systems and best practices, let alone implement them effectively. Fortunately, companies that provide outsourced IT department services commit substantial time and resources towards educating their staff on the latest and greatest IT technology and processes. As a result, partnering with a qualified Managed Service Provider provides you with full access to an extensive IT knowledge base without being forced to commit time and money towards IT research or internal staff training. One of the greatest drawbacks of relying on a small team of people for business technology management is that a single unexpected absence can impede or completely stop business processes due to insufficient IT support. This predicament forces your employees to choose between halting their work until the technology issue is resolved or delivering subpar service to clients or customers by continuing to work without access to key network systems or resources. Moreover, the average retention rate of internal IT personnel is only 2.5 years, meaning that overreliance on internal staff will put your organization in the precarious position of slowing down operations in order to hire and train new IT employees every few years, resulting in lost business opportunities and decreased profitability. With the help of an outsourced IT department, your staff will have 24/7 access to a full IT team that can scale to meet the growing needs of your business. And instead of fretting over every IT staff sick day or vacation, you can focus the entirety of your efforts on running your organization. There’s an endless number of business technology tools you could invest in, and almost all of them profess to be the perfect product for optimizing your IT system and enhancing team efficiency, making it very challenging to pin down which ones are worth your valuable time and money. It’s also worth noting that even the best Information Technology tools in the industry won’t accomplish much if they aren’t operated by professionals with the knowledge and experience to use them. Once again, high-quality Managed Service Providers specialize in researching and training their staff with cutting-edge IT tools, meaning that partnering with one will give you access to some of the most effective IT employees and instruments available without spending your business’s resources on training or R&D. Most importantly, your outsourced team will choose and apply the best tools and practices for each specific situation and problem, efficiently and affordably meeting employee and customer needs without any overlap or gaps. Many large-scale companies understand the impact that IT strategy can have on growth, which is why they employ CIOs (Chief Information Officers) to fill any gaps in their current IT leadership. CIOs essentially oversee business Information Technology efforts and day-to-day operations while simultaneously aligning IT strategy with business strategy to ensure seamless integration of new programs and Information Technology processes. However, committing the substantial resources needed to train or hire an expert for this important position is usually unrealistic for small to mid-sized companies. That’s why some of the best IT Managed Service Providers offer IT leadership as one of their services, often through the implementation of a VCIO (Virtual Chief Information Officer). VCIOs coordinate with management to attain the information needed to create an IT roadmap that meets short and long-term business goals. They also bring invaluable knowledge of IT trends and best practices to the table, allowing them to recommend sound IT investments that play a pivotal part in meeting company goals and boosting ROI from technology investments. Perhaps the greatest benefit of outsourced IT departments is that they give businesses all of the resources and support they need to create a smarter and more proactive approach to IT. A proactive IT approach tackles the day-to-day technology concerns that keep your employees from doing their jobs effectively, but it also predicts and plans its proposed frameworks and systems around upcoming shifts in the field, ensuring that you won’t be blindsided or burned by a poor IT investment or new cybersecurity threat. Put simply, if you really want to be strategic with your IT, you need to develop a proactive approach that builds and maintains a strong, reliable technology infrastructure that keeps future developments in mind.